By Hazel Chua on 01/13/14 • Leave a comment! Jewelry is essentially wearable art. But something that’s more “art” than “jewelry” are these mini diorama rings by designer Clive Roddy. Each piece is actually made of three rings, with each layer sporting a piece of the final design. The rings are laser-cut from high-quality birch plywood and can be worn together (for the full effect) or alone (if you’re feeling conservative). 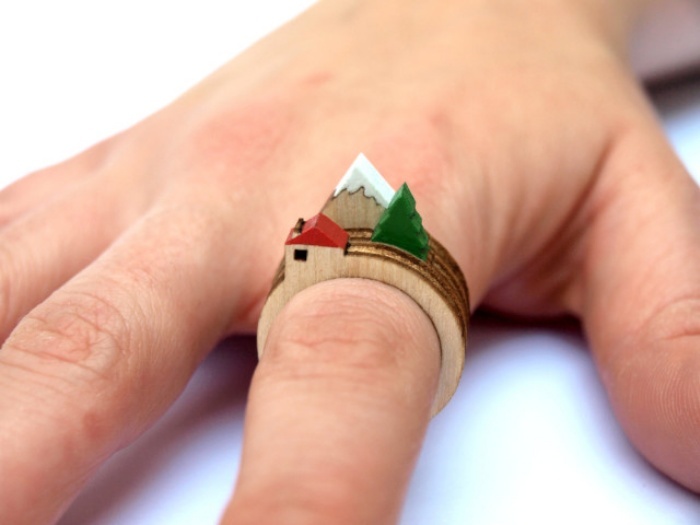 They’re available in a variety of designs: House Rings (three houses that are different sizes), Tree Rings, Mountain Rings, and Wave Rings. Personally, the last one is my favorite. Hit the break for images of the other designs. By Hazel Chua on 07/19/13 • Leave a comment! 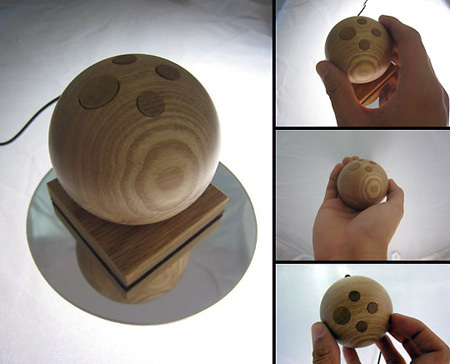 It’s amazing what you can do with a few shaped and polished pieces of wood. At first glance, Boxed looks like a plain and ordinary wooden suitcase that carries a bunch of random blocks of wood. 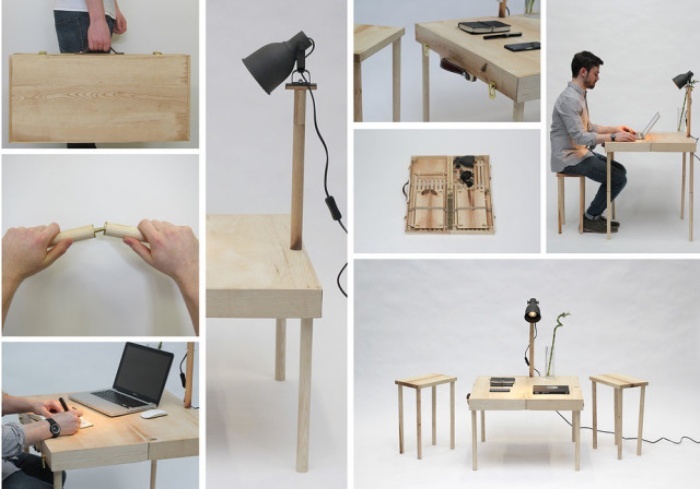 But if you know how to put them all back together and piece the shapes together, then you can assemble a wide variety of furniture that you can actually use–like stools, a desk, a coffee table, and even a lamp. By Hazel Chua on 05/28/13 • Leave a comment! You put furniture together on a regular basis, so why not assemble your own bike together for a change? IKEA doesn’t have DIY bikes in stock on their shelves, but you can get one called the Sandwichbike delivered to your doorstep. Oh, and did I mention that it’s a wooden bike you’ll be putting together with this kit? 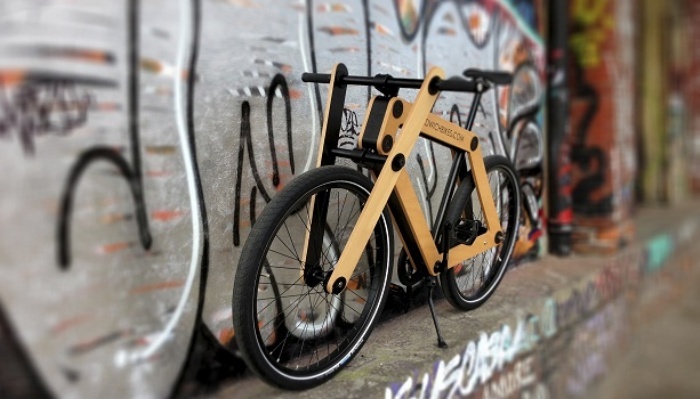 The Sandwichbike is basically a wooden bike that’s packed flat in a box in its component pieces. It won’t look like much of a bike when you open the box, as you’ll be greeted with its component parts that are just waiting for you to put them together. It comes naturally to some guys while others considerably find it a whole lot harder. I’m talking about tying ties and knotting bows. I’m a girl, so I can’t relate, but I’ve seen friends, cousins, and co-workers struggling with the seemingly simple task of putting on a tie and making sure that it wasn’t on backwards or sideways. The solution? These wooden bow ties by the Two Guys Bow Tie Company which looks surprisingly, well, normal, despite the fact that they’re made out of wood. 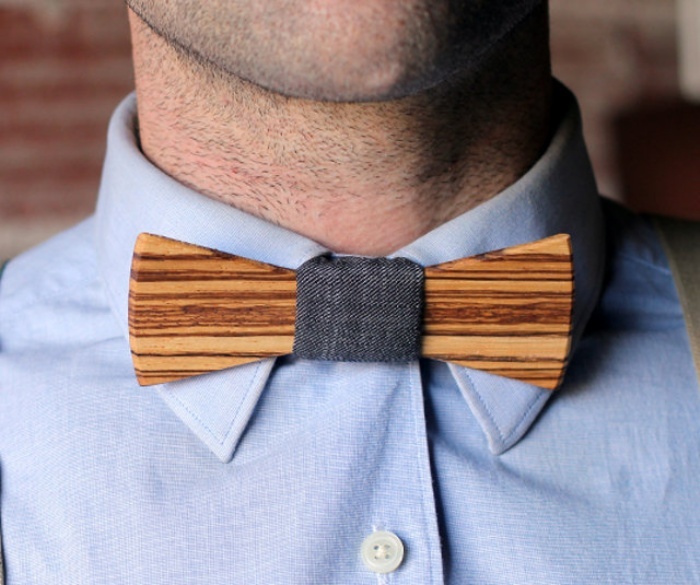 This isn’t the first time people have come up with clothing made from wood, but it is the first wooden bow tie that we’ve seen so far on the interwebs. This mouse is really made of wood. It’s called the Jupiter Mouse and was created by Actbrise Electronics. It’s made from Chinese flowering ash(ironically found in Japan). In addition to the four buttons, the Jupiter Mouse is also motion sensitive and will move the on-screen cursor based on the direction and speed that you move the mouse. This is an expensive choice for a mouse at $232, but if you can afford it, it might be a nice way to browse. Check out this video to see the mouse in action.